I have found a new appreciation for antiques and vintage items lately. Old items have such character, such personality. Over the past month I have purchased a few decor items from local antique shops. One of the items I sought out after a creative project idea popped in my head. Two of the items I had to have after spotting them at a shop and I knew I could put them to good use! 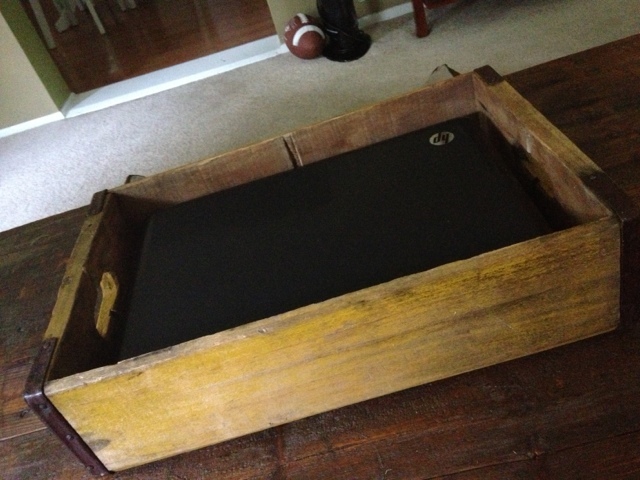 Item #1 is an old yellow, weathered wooden Coca-Cola crate. I sought this piece out to create a magazine and laptop holder to sit on my new coffee table. I needed a better place to put magazines that usually sit haphazardly on my table and a spot designated for our laptop that didn't have an official "home". To create this magazine/laptop holder all I had to do was saw the compartments out of the middle of the crate, place it on my coffee table and fill it. 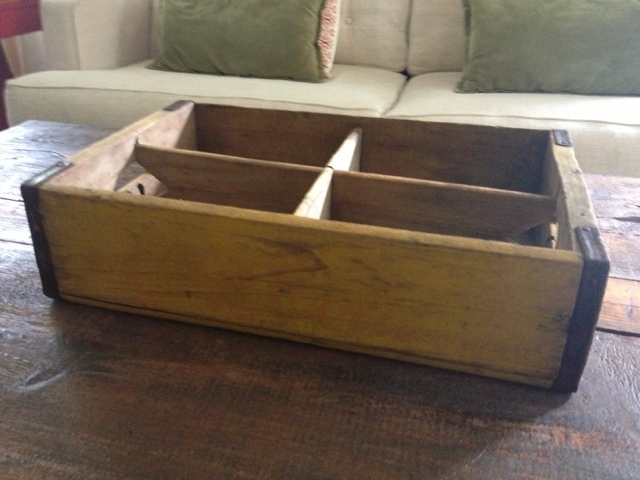 It adds visual interest to my coffee table and helps organize items that would otherwise look like clutter. Items #2 and #3 were impulse buys which could be dangerous - you could end up with a items you don't NEED or items with no purpose. I don't typically impulse buy, so I figured these purchases were justified. 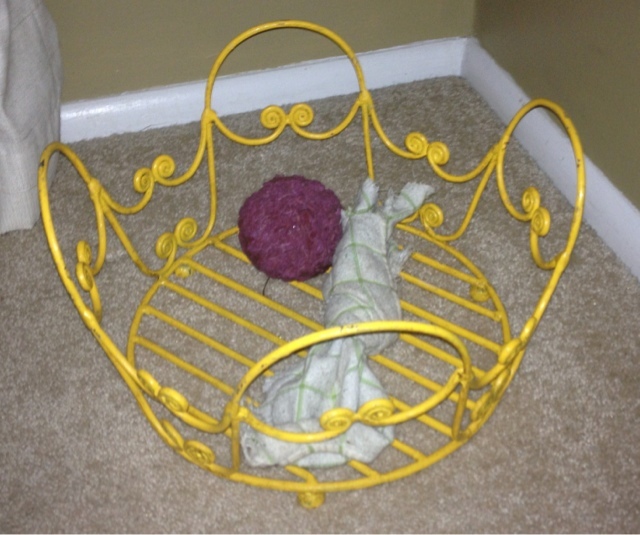 Item #2 is a bright yellow metal "basket" with interesting curves. The paint is a little worn which adds character. I really liked the color and thought I could put this to go use ... Somewhere. After bringing home the basket, I figured it out! This item makes the perfect dog toy holder! I ended up using this egg basket to hold my coffee and K-Cups near my Keurig. 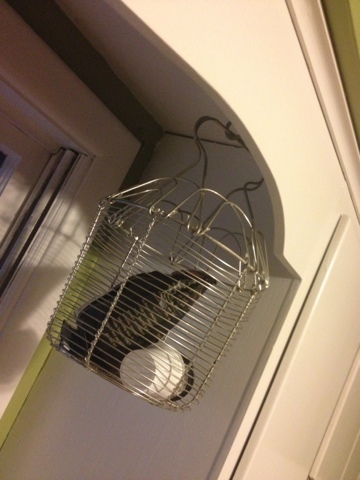 It now hangs from a hook in my kitchen. Adding some vintage, colorful flare to my home has been a joy! I enjoy the hunt for the item and then figuring out a creative way to use it. I also love organization, so these items bring me twice the pleasure! It's all about thinking outside of the box!